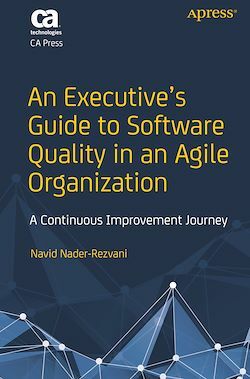 Utilize a set of practical guidelines to help your Agile organization elevate software design quality as an important business driver to achieve customer satisfaction and, ultimately, higher revenue for your company. This is the first book to focus on a holistic quality view—what it is and how it links to overall business enhancements. The real-world examples used in this book allow you to learn and apply similar strategies and guidelines to help create a quality blueprint for your organization. Five pillars of quality are defined that can be used for any industry and, once internalized, can serve as a set of tools to continuously improve and measure the key factors impacting quality.